“We were completely blown away.” – NPR’s All Songs Considered on Andrea von Kampen. Come see her acoustic performance at Gallery 263, with local musician Gillian Grogan opening! Andrea von Kampen is an American singer-songwriter from Lincoln, Nebraska. 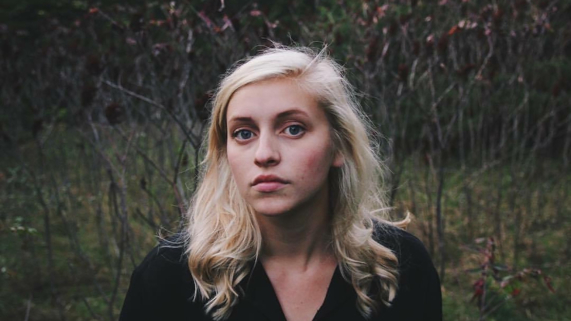 From a young age, Andrea was drawn to the sounds of Paul Simon and James Taylor, and her love of folk music has developed into an honest and pure sound. Her dynamic voice compliments her songwriting to provide a captivating live show. With over 5 million Spotify streams and counting, Andrea von Kampen has quickly established herself in the recording studio and on the road. Her deft guitar work and intuitive song construction display striking maturity, and her effortless vocal delivery has been praised by Hear Nebraska as “soulful and worn-in.” Andrea has shared the stage with Tall Heights, Esme Patterson, Gregory Alan Isakov, Dead Man Winter, John Moreland, Dead Horses, Gaelyn Lea, and more. She was featured as a finalist in NPR’s Tiny Desk Contest, and won Eddie’s Attic Open Mic Night in Decatur, GA. Her recent midwest tour included a live session at Audiotree in Chicago. Gillian Grogan is a Cambridge based songwriter with a knack for weaving narratives. Her performance is anything but Five Feet Small, wading through salty rhythms of travels past before fiddling around with the forest flows of her youth. Global folk and Appalachian influences have pinned the proverbial blooms in the hair of New England’s favorite street-side songbird. Gillian sings stories where Americana meets folk and steeps into soul, where finger picking builds and gets slapped back to silence. And vice versa.